Color 30 black-and-white illustrations of masterpieces by the great American Impressionist, best known for her paintings of mothers and their children. 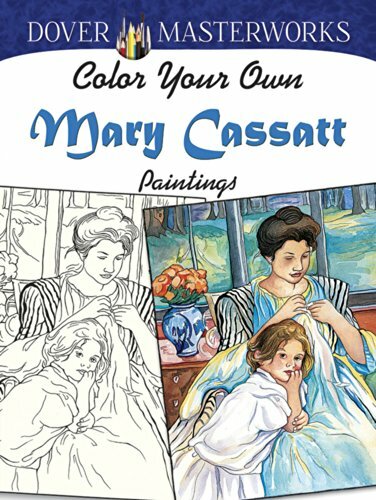 All paintings are shown in full color on the covers, so you can copy the originals, or create new versions of The Bath, Young Mother Sewing, Mother’s Kiss, Maternal Caress, and others. From great works of the Italian Renaissance to masterpieces from the Impressionist movement, the Dover Masterworks series offers more experienced colorists the opportunity to re-create some of the world’s most famous paintings.